The team at Manitou Mainline Chrysler would like to welcome you to our dealership in Watrous, where we’re confident you’ll find the vehicles you’re looking for at a price you can afford. Come and check out our full selection of new Chrysler, Dodge, Jeep, Ram vehicles, or get a great deal on a reliable pre-owned model. No matter which vehicle you decide on, our professional finance team will help you get settled with a competitive financing or lease plan. When you’re looking for quality auto maintenance and repairs near Watrous, you can always count on the professional technicians in our Chrysler, Dodge, Jeep, Ram service department as well, where we handle everything from oil changes and filter replacements to powertrain and drivetrain repairs. Schedule an appointment today, or purchase parts from us to handle maintenance and repairs on your own! 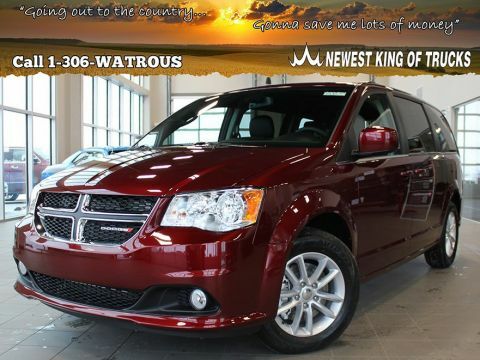 Lots of folks in Watrous count on the high-quality vehicles and services found at Manitou Mainline Chrysler, and we look forward to living up to our reputation every day. Stop in and see us today, or contact our staff with any questions! 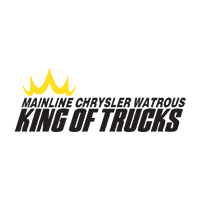 Why Choose Manitou Mainline Chrysler? Only 5 SXT Premium Plus models left in stock! New vehicle pricing includes all offers and incentives. Tax, Title and Tags not included in vehicle prices shown and must be paid by the purchaser. While great effort is made to ensure the accuracy of the information on this site, errors do occur so please verify information with a customer service rep. This is easily done by calling us at 306-986-8793 or by visiting us at the dealership. Call 1-306-WATROUS, King of Trucks! No payments for 6 months O.A.C.This Dodge Grand Caravan boasts a Regular Unleaded V-6 3.6 L/220 engine powering this Automatic transmission. UCONNECT HANDS-FREE GROUP -inc: Leather-Wrapped Shift Knob, Hands-Free Comm w/Bluetooth, Bluetooth Streaming Audio, Remote USB Port, Leather-Wrapped Steering Wheel, SiriusXM Satellite Radio, 1-Year SiriusXM Subscription, For SiriusXM Info Call 888-539-7474, TRANSMISSION: 6-SPEED AUTOMATIC (STD), SIRIUSXM SATELLITE RADIO -inc: 1-Year SiriusXM Subscription, For SiriusXM Info Call 888-539-7474. 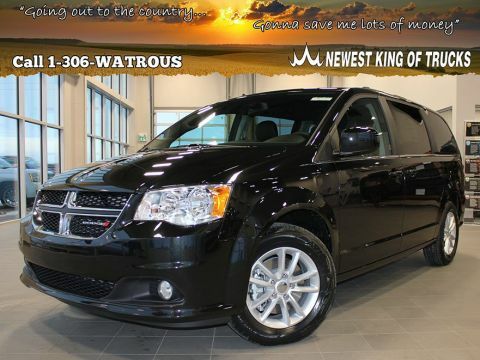 *This Dodge Grand Caravan Comes Equipped with These Options *QUICK ORDER PACKAGE 29P SXT PREMIUM PLUS -inc: Engine: 3.6L Pentastar VVT V6, Transmission: 6-Speed Automatic, Black Finish Instrument Panel Bezel, Integrated Roof Rail Crossbars, Leather-Wrapped Shift Knob, 2nd-Row Power Windows, Rear Air Conditioning w/Heater, 3rd-Row Stow 'N Go Seats, Bright Belt Mouldings, Power 2-Way Driver Lumbar Adjust, Body-Colour Door Handles, Bright Stow 'N Place Roof Rack System, Fog Lamps, A/C w/Tri-Zone Manual Temperature Control, Leather-Wrapped Steering Wheel, Body-Colour Exterior Mirrors, Highline Door Trim Panel, Deep-Tint Sunscreen Glass, Super Console, Premium Interior Accents, 2nd Row Stow'N Go Bucket Seats, 3rd-Row Power Quarter-Vented Windows, Power Windows w/Driver 1-Touch Down, Body-Colour Sill Applique , SINGLE-DVD ENTERTAINMENT SYSTEM -inc: Wireless Headphones, Radio: 430, Video Remote Control, 115-Volt Auxiliary Power Outlet, 2nd-Row Overhead 9 VGA Video Screen, 6.5 Touchscreen, HDMI Port, 2nd Row Overhead DVD Console, Auto-Dimming Rearview Mirror, 40GB Hard-Drive w/28GB Available, Remote USB Charging Port, 6 Speakers, SECURITY GROUP -inc: Remote Start System, Security Alarm, SECURITY ALARM, RADIO: 430, POWER CONVENIENCE GROUP -inc: Right Power Sliding Door, Left Power Sliding Door, Power Liftgate, ENGINE: 3.6L PENTASTAR VVT V6 (STD), BLACK/LIGHT GREYSTONE, TORINO LEATHERETTE W/SUEDE INSERTS, BILLET METALLIC, Wheels: 17 x 6.5 Tech Silver Aluminum. 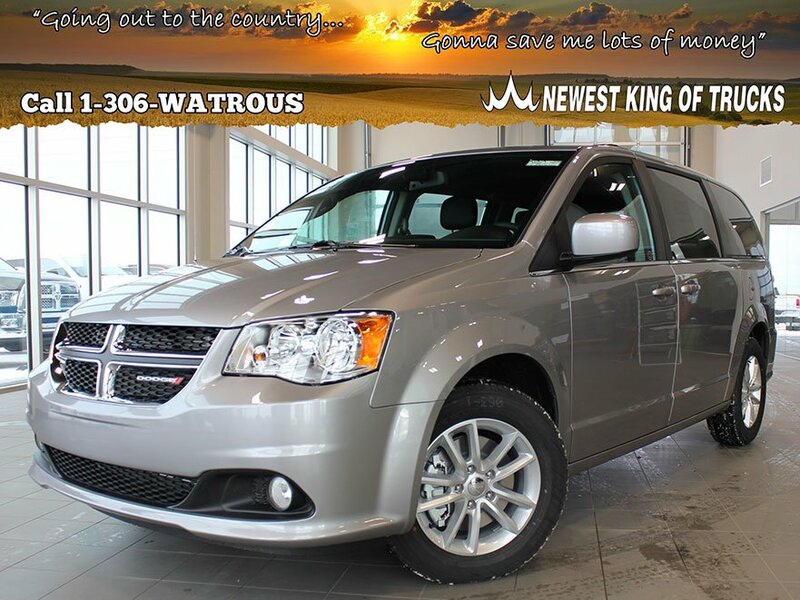 * Visit Us Today *Stop by Mainline Chrysler Watrous located at 9 Campbell Road, Watrous, SK S0K 4T0 for a quick visit and a great vehicle! Thank you for making your way to Manitou Mainline Chrysler, your certified Chrysler, Dodge, Jeep, Ram dealer serving drivers throughout Watrous and the surrounding areas. At our dealership, you’ll find a solid selection of new Chrysler, Dodge, Jeep, Ram for sale, as well as a carefully inspected lineup of pre-owned vehicles. We also have a well-connected finance center run by a qualified team of finance experts, who can help you get the right loan or lease in a quick, easy, and transparent manner. 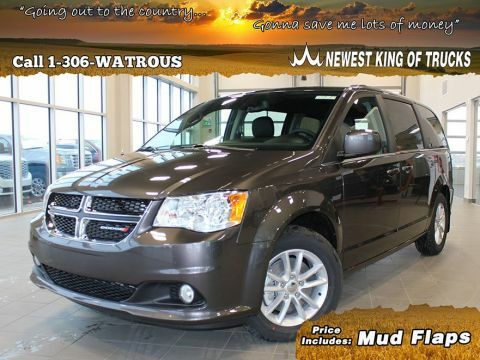 Make your way to Manitou Mainline Chrysler in Watrous today for quality vehicles, a friendly team, and professional service at every step of the way. And if you have any questions for us, you can always get in touch at 306-986-8793. Manitou Mainline Chrysler	51.671360, -105.466159.